If you and your family gather for weekly movie nights or you just love watching movies yourself, you want the best movie-watching experience possible. Sometimes, sitting on the cramped living room couch in front of a standard, small TV screen just won’t cut it. Building a beautiful home theater can give you and your family the perfect place to watch your favorite films. A home theater is so much more than simply mounting a screen or TV, installing an excellent projector, and setting up a crystal-clear audio system. Revelation Home Services can design, build, and install everything your home theater needs, from the necessary A/V equipment to the furniture to the wiring and everything else in between! Viewing quality is everything in a theater. The explosions in an action movie should look and feel real, the colors of the landscape in a nature flick should take your breath away. For some movie buffs, nothing beats the classic look, feel, and display of a screen and projector. Using a screen and projector can really capture those feelings of nostalgia that makes watching movies so enjoyable while still providing a sharp and gorgeous display. Although some cinephiles hold fast to the use of a projector and screen, many television models have been released in recent years that rival the quality of traditional projectors, with increased size and higher definition than standard televisions. Recently hitting the market is the wallpaper TV, an almost paper-thin television that stretches across your entire wall to give you an amazing display. Also recently released is the 84” 4K TV that boasts an impressive, colorful display. No matter if you prefer a TV or screen, Revelation Home Services can install the perfect setup for your home theater that will give you an unparalleled viewing experience. Audio and visual go hand-in-hand while watching a movie, and if just one of these elements isn’t the best quality, it can ruin the entire movie. You want to be able to hear every sound, to be placed right in the middle of the action on screen. 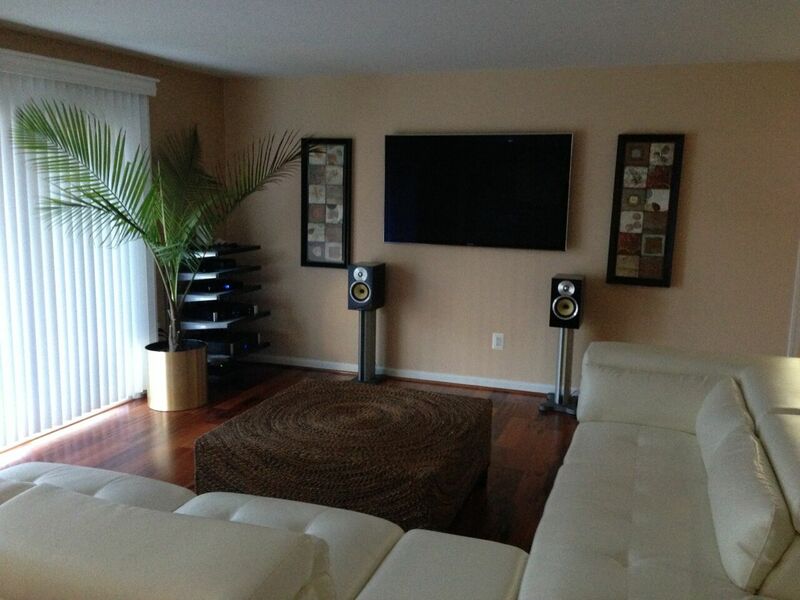 Our technology experts can help design and install the best speaker system for your home theater. We can analyze the acoustic qualities of your theater space to determine the ideal type and placement of necessary equipment to deliver you crystal-clear surround sound. One of the best parts of going to the movie theater is lying back in cushy, reclining seats. Your home theater should have the same comfort! There are a variety of designs and materials to choose from for the best seating. Maybe you like the classic look and feel of a movie theater’s individual reclining chairs, or perhaps you want a full luxury loveseat or couch to comfortably fit the whole family in one spot. We can install movie-theater-quality seating in your home theater for the utmost appearance and comfort. A home theater setup requires a lot of wires for your TV, screen, projector, and/or sound system, but too many wires can cause a mess and look unsightly. Home theaters, with their extra equipment, often need more wires than a standard television room. You may worry that building a home theater means you’ll end up with a knotted mess of wires, but this doesn’t have to be the case with Revelation Services! Our technology experts understand how a mess of wires can take away from the aesthetics of the theater, and will install all of your A/V equipment while keeping wires untangled and as out of sight as possible. Create the Perfect Home Theater With Revelation Services! At Revelation Services, LLC, we are dedicated to providing impeccable customer service, quality work, and attention to detail. We are passionate about giving you and your family top-of-the-line products, whether you use us to install a television, projector, or telephone system. Repeat customers choose us time and time again for our unparalleled customer-orientation and efficiency. Let us build the home theater of your dreams! Contact us today at (703) 677-4187 for a free estimate!